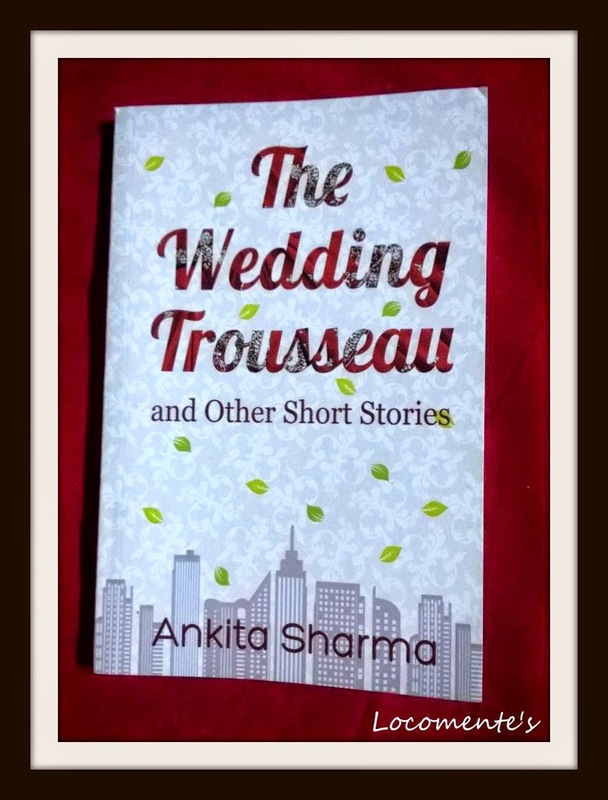 This is a collection of 11 short stories inspired from various aspects of life and relationships. Some are inspired from real life incidents and people. Small things of day to day life as well as unsaid and unshared emotions sometimes envelop deepest feelings. This book is an attempt in digging deeper and expressing them in form of stories. While some stories carry a lighter tenor, others show varied side of human psyche and relationships as seen from a different angle. The collection can be enjoyed by readers of any age group. The cover page is simple in a subtle shade of pink with tall buildings on the backgroumd and green leaves flowing. May be it symbolically says that like the buildings in different shapes and sizes, people’s thoughts and response to situations will be different from one another. There is no standard rule stating how people should think or react. The book is a collection of eleven short stories. The Wedding Trouseeau is the name of one of such stories. As the book blurb rightly indicates, each story is simple and speaks about how human beings think. The stories are all about man’s toughts and how his/her mind can work. The narrative is lucid and the language is simplem free from jargons. The Pink Card - This is the first story. It portrays how judgmental we can be about others. And, how blind when it comes to loved ones. One More Bite hints how superiority complex is seeded and how money determines who is happy and who is not. This story made me feel uncomfortable and made me think. The Fresh Stock and Just Perfect speaks about how people are obsessed with perfections. It states how much we try to adhere to the societal norms and how we fear to be different from it. Courtesy and I Forgive You! conveys how employees are exploited in office space. It beautifully puts across how a manager/leader should not be. After all, at the end of the day, everybody is a human being with emotions. 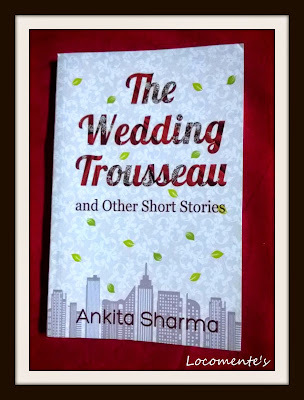 The Wedding Trousseau subtly hints that marriage as a ceremony may be full of glitz and glamor. But, marriage as a bond is not. It is full of ups and downs. It propagates the importance of togetherness, compromise and commitment. The Solitary Mound touches the reader’s heart as it speaks about death and how it affects family. Curse perfectly depicts the bond between mother and son in India. Also, how a mother can influence her children. Leaves is slightly different from other stories. However, it certainly emphasizes that parents must listen to their children and tryu to understand them. Overall, each story is very different from each other, yet well connected by the common thread called human mind. Some stories will certainly leave a mark in your mind. With around 130 pages, this can certainly be a quick read over a lazy weekend. Go for it! Thanks Ankita – My friend. I have always read your blog and reading your book was a pleasure! All the best and looking forward to read more from you!!!! Read the book and liked it.. It makes you think about the hypocrisy of people around us.. or maybe sometimes of ours.. It could be you or me or anyone! ... will definitely look into ordering this book ... complicated interpersonal relationship stories are always interesting, as we can learn a lot from them ... be well, friend. Love, cat. Books speak more vibrantly than orators.Interesting review. Good review.Yet to read the book. And let us know your feedback on the book! Excellent review. Ankita is a great writer.